What new models came out from the Big 3 in 1984? The Ford Tempo. The C4 Corvette. The Pontiac Fiero. The Dodge Caravan. Not too much excitement there. 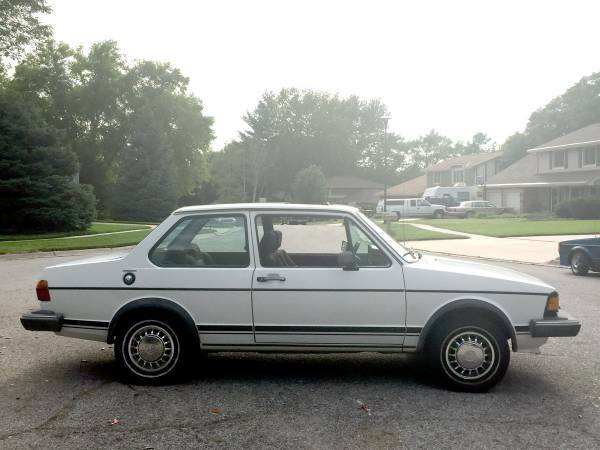 That's why we feel no shame featuring an already long-in-the-tooth 1st gen Jetta to represent 1984. 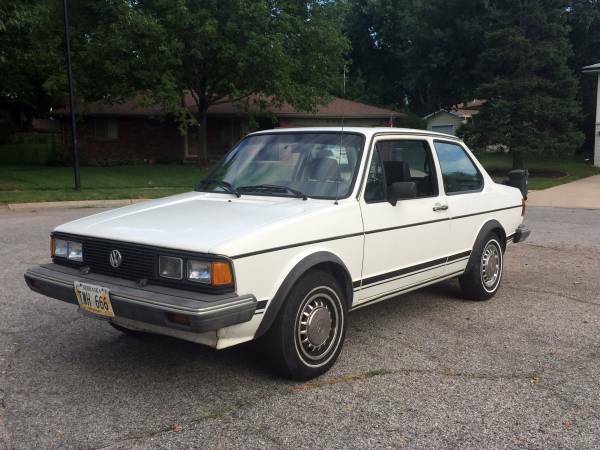 Find this 1984 Volkswagen Jetta here for sale in Lincoln, NE for $4,000 via craigslist. This post is part of DT's 2016 Birthday Celebration of 100 cars; enjoy the ride! What's that below? IT'S THE MARK OF THE BEAST PLATE AGAIN!!! Okay, now things are starting to get creepy. I think the Prince of the Hoary Netherworld might be trying to send a message that I look at too many damned car ads. 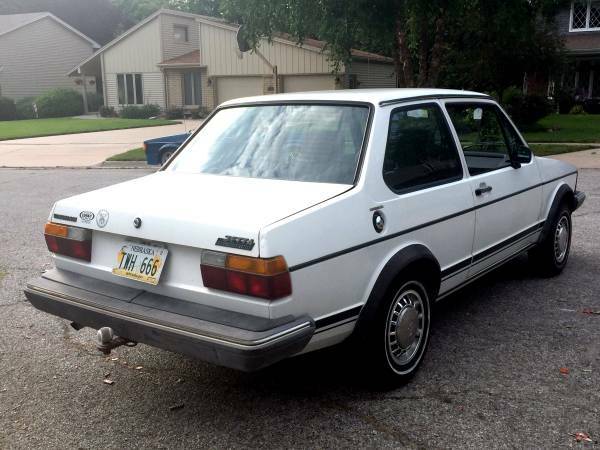 Or it could be that there is a guy trying to flip every 1980s vintage VW in the area that he can get his hands on. 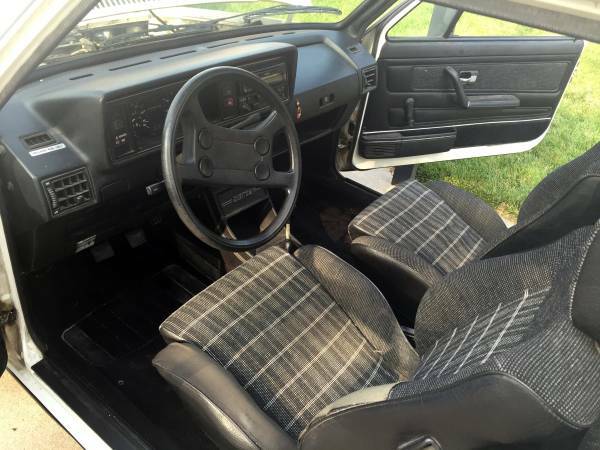 The ask for this car is as steep as a grave wall, but maybe the seller will respond to the right sized Chicago bank roll. In any case you have to admit that, if in decent condition, the interior of a VW from this era is a thing to behold. This one appears to fit the bill. There is no doubt that this Jetta has a kitsch about it that will bring all the hipsters to the yard. Here's hoping this Maytag white sedan falls into the right hands and gets brought back up to snuff.